We’re TOTI, a charitable trust based in Hamilton, New Zealand. Our full name is the Theatre of the Impossible Charitable Trust. We work on creative projects with sustainable community benefits, involving 21st century technology & community engagement, integrated artistry & multi-media communication, adding value to the future. Our Trust objects relate to art & culture, business & industry, and ecology. In our brand, TOTI is alliterated and translated into English and Maori concepts uniting human spirit with creativity and art – Tō tī, tō tā, tō toi. 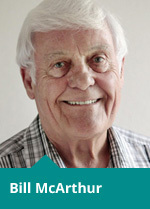 Trust founder and chair, Bill is a rare combination of industrialist & academic and has a PhD from the University of Waikato. He was awarded the CNZM in 2003. His commercial highlight was the 10-year contract he won for his Macarthur Group on the 1990s Anzac Frigates project – requiring high quality and precision. A research fellow with the Screen and Media Department, his fields of interest include pictures and imaging. Scottish-born and brought to Matamata in childhood, Bill is passionate about social issues, ethical standards and accountability, and a ‘fair deal for all’. The difference in spelling of his surname from his company’s is intentional and a story that will be told! After careers as an investigative journalist in newspapers, radio and television, and in local government locally and globally, Margaret knocked off her MSocSc in 2003 and now continues her grassroots involvement in civil society initiatives and public policy scrutiny. She was Mayor of Hamilton 1989-1998 and awarded the CBE in 1995. A ‘sustainability’ pioneer – integrating resource management and environmental issues alongside economic development and social/cultural concerns – she represented the Asia Pacific region on the global executive of Local Governments for Sustainability (1995-2001). She is a serial traveller. A former city councillor and CEO of the Chamber of Commerce, Mavora currently chairs Hamilton’s business development board Opportunity Hamilton and is ambassador for the Brian Perry Foundation. 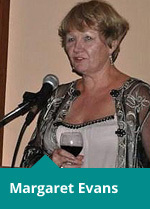 She chaired the community trust that developed Te Parapara the Maori garden at the city’s high-profile Hamilton Gardens. In 2003 she directed the celebrations marking the 150th borough anniversary of the uniting of the Hamilton West and East town board in 1877 and the first council elections in 1878. 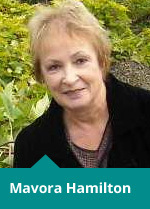 Mavora is a renown cook and quilting hobbyist. Chris is the TOTI Trust Manager responsible for financial management and administrative matters. She graduated from Waikato University with a Bachelor of Social Science degree, and has worked in the banking, accounting and education sectors at a managerial level. 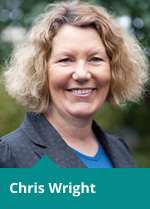 Chris has travelled extensively throughout her career working cross culturally in the recruitment and support of international students coming to study in NZ. In her spare time she enjoys photography, travel and good food & wine- often all at the same time!